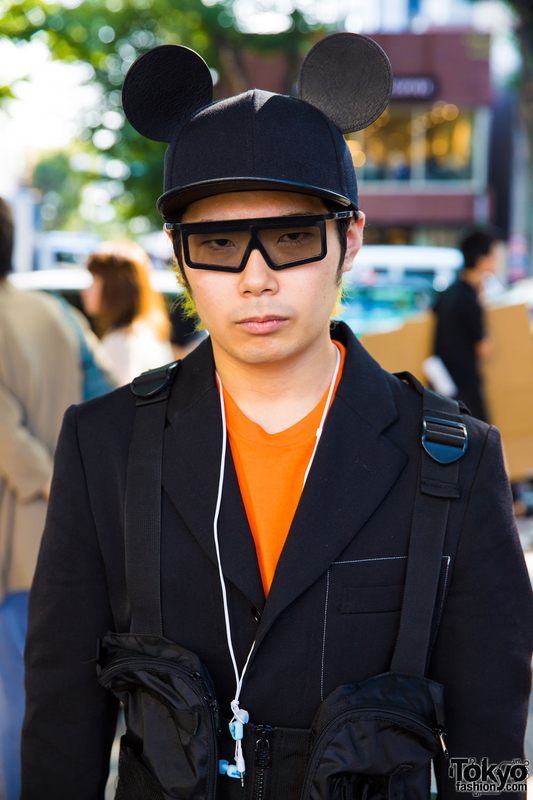 Ryoto is a Kinji vintage staffer we met on the street in Harajuku. 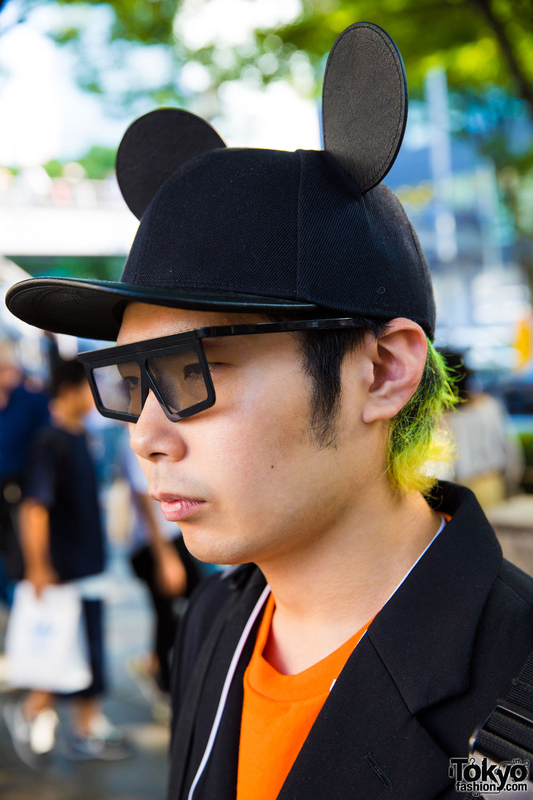 He caught our eye with his fun Mickey Mouse cap and black fashion style. 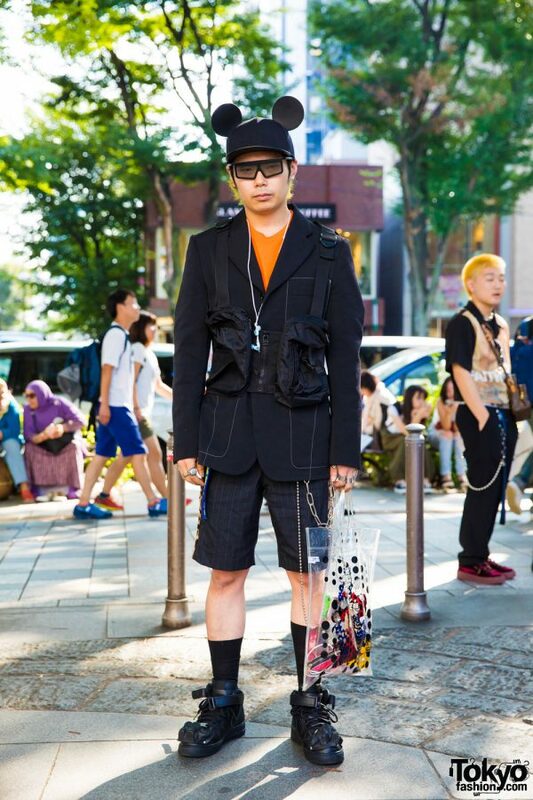 Ryoto’s look consists of a Faith Tokyo vest bag over a Comme des Garcons Homme Plus blazer and an orange t-shirt from Christian Dada, pinstripe shorts, high top sneakers, and a clear tote bag, all of which are from Comme des Garcons Homme Plus. 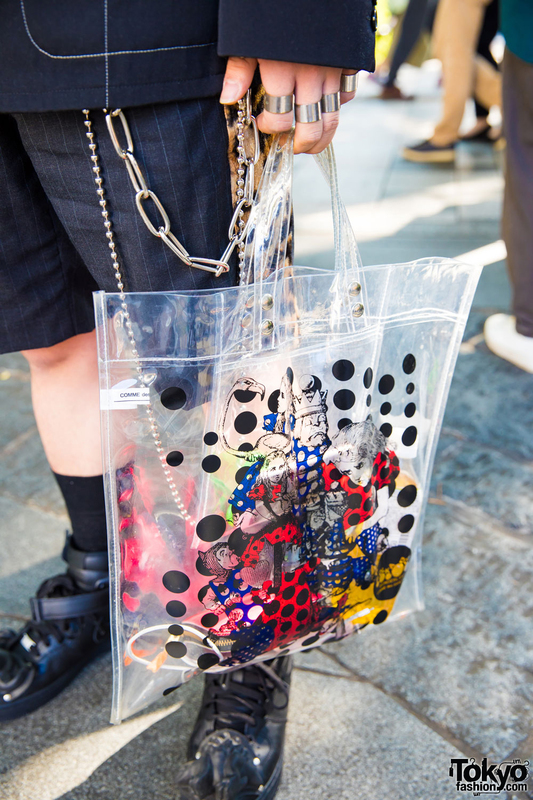 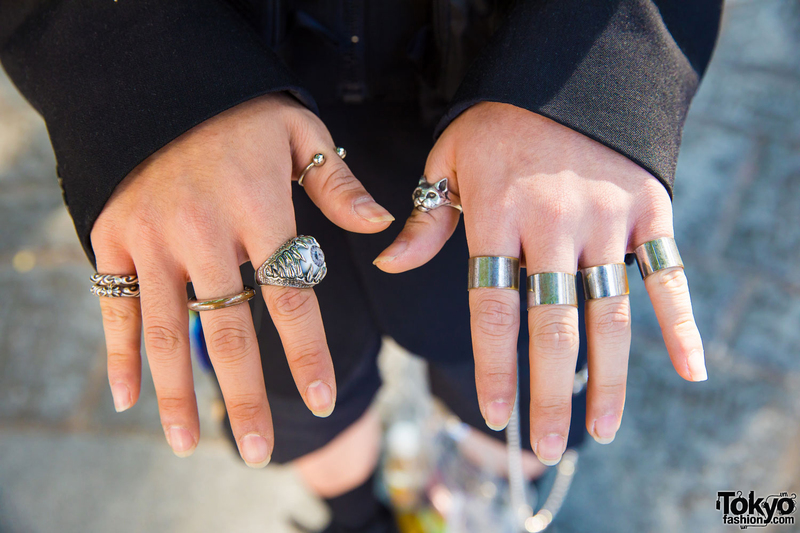 His accessories – from Chrome Hearts, Maison Margiela, and Dover Street Market – include a Mickey Mouse cap, black sunglasses, wallet chains, and multiple silver rings. 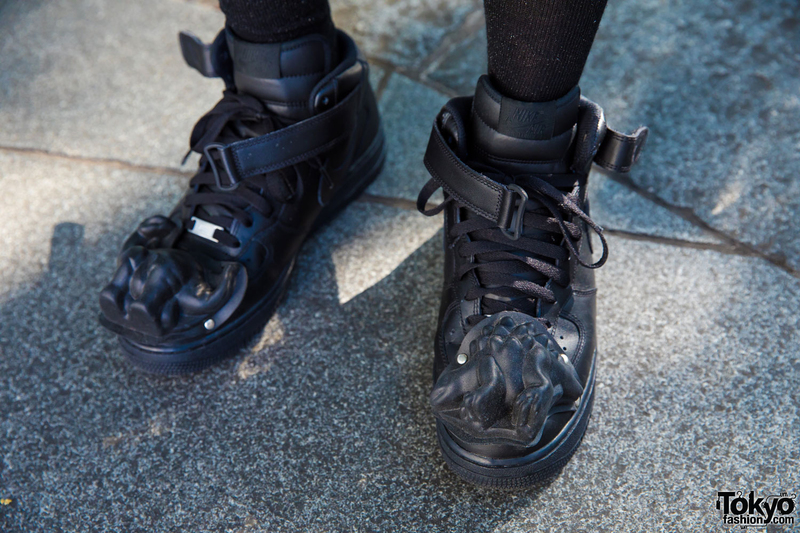 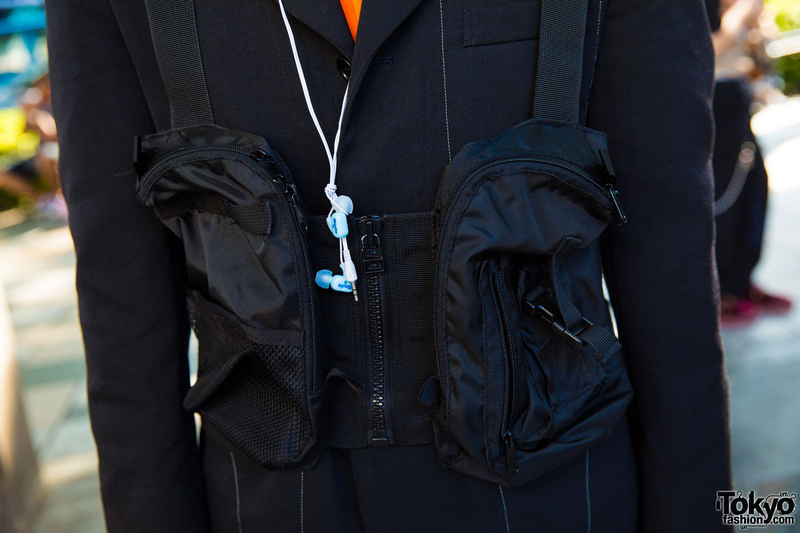 Comme des Garcons, Vetements, and Faith Tokyo are some of Ryoto’s favorite brands and he listens to the music of Killa and Awich. He is active on Instagram, follow him!